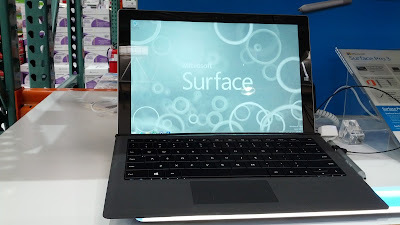 For several years now, I’ve been awaiting the time when I can get rid of my tablet in favor of an all-in-one device like the Microsoft Surface Pro 3. The earlier Surface Pro and Surface Pro 2 had some design flaws that just didn’t make the product great at being either a tablet or a laptop. The compromises were too great. 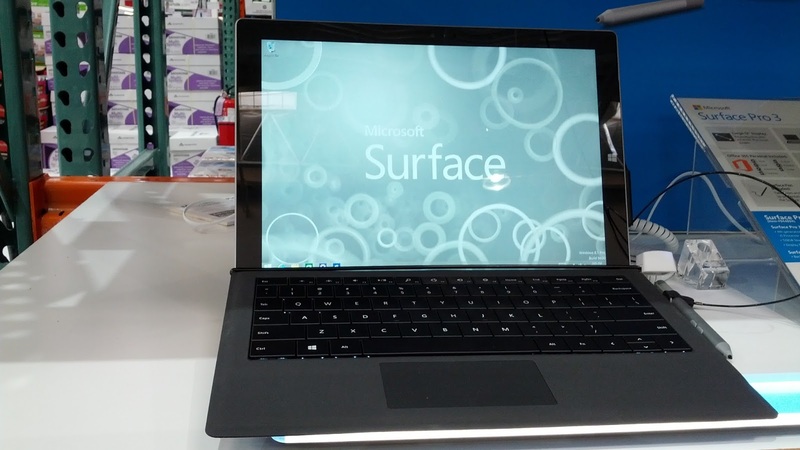 I think Microsoft is headed in the right direction with the Microsoft Surface Pro 3. Unlike earlier designs, the stand can be positioned at multiple angles so you can actually use it on your lap. The Surface Pro Type Cover is actually usable compared to earlier Surface Touch covers that couldn’t keep up with fast typing. The 12” display is large enough compared to earlier Surface screens with 10” displays (good luck looking at Excel spreadsheets on that one) but small enough that it can be detached from the keyboard, used as a tablet, and not feel too heavy that your arms are going to fall off after 5 minutes. And because the Microsoft Surface Pro 3 runs Windows 8.1 Pro, it can do anything that a normal laptop can do. No more Windows RT please. 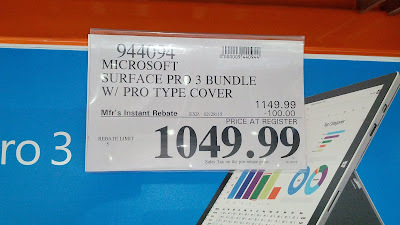 The Microsoft Surface Pro 3 Bundle available at Costco comes with a Surface Pen and Office 365 Personal (Microsoft Word, Excel, PowerPoint, etc) so you can be as productive as ever without compromising size and convenience. The 4th Generation Intel Core i5 Processor and the included 4GB of RAM are plenty fast for me that I can stream Netflix and Hulu video and run CPU-hogging programs like Adobe Photoshop. With the included full USB port, microSD card reader, and Mini DisplayPort, adding peripherals and external devices are no problem. 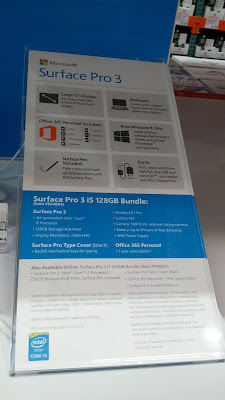 Microsoft Surface Pro 3 i5 Bundle. Microsoft Surface Pro 3 i5 Bundle with Surface Pro Type Cover and Surface Pen. Microsoft Surface Pro 3 Bundle with Pro Type Cover- Get some real productivity done with the Microsoft Surface Pro 3 Bundle. A 12” full HD display is more than enough for most casual and business work. The included Office 365 Personal includes Microsoft Word, Excel, PowerPoint, OneNote, Outlook, Publisher and Access. It runs a full version of Windows 8.1 Pro so it is a full-functioning laptop with the added convenience of being a table when desired. The Surface Pen adds to the functionality, making design documents, note-taking, etc. a breeze. The included full-size USB port, microSD card reader and Mini DisplayPort assures that it can support whatever media and peripherals you throw at it. The Intel Core i5 Processor and 4 GB of RAM means that the Microsoft Surface Pro 3 is plenty fast for when you do light web surfing all the way to running programming scripts to streaming online video.